Designed to express the Western spirit of the local homesteaders, it depicts images of historical locations throughout Grand Teton National Park. 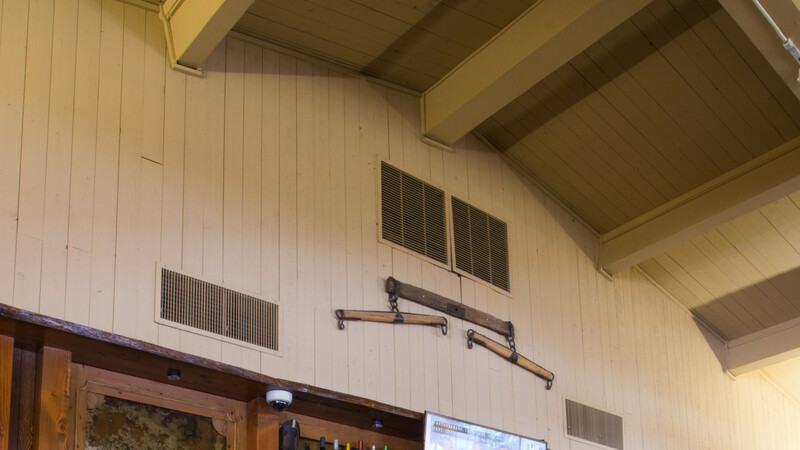 Be sure to saddle up to the large bar and see the many ranching brands that have been burned into the bar top. The brands represent area ranches where the cabins of Colter Bay Village were originally built. Enjoy Chef Josh Conrad's delectable rustic comfort food offerings with a world flare. 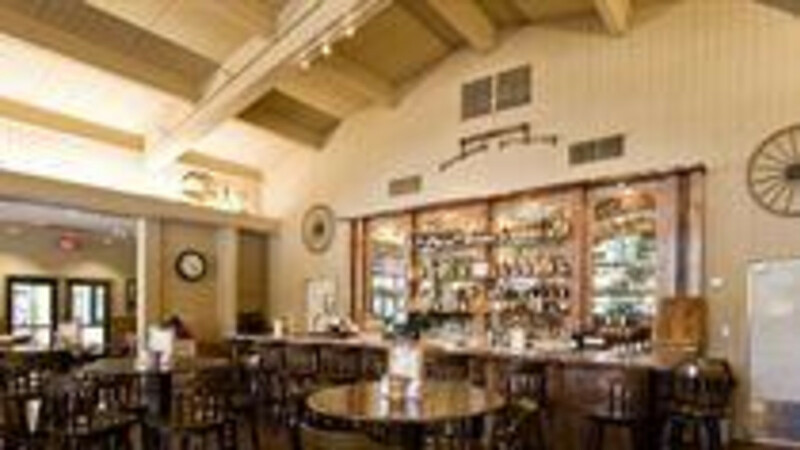 The menu features classics and newly evolved cuisine in a ranch house setting, complete with a generous menu for every age. 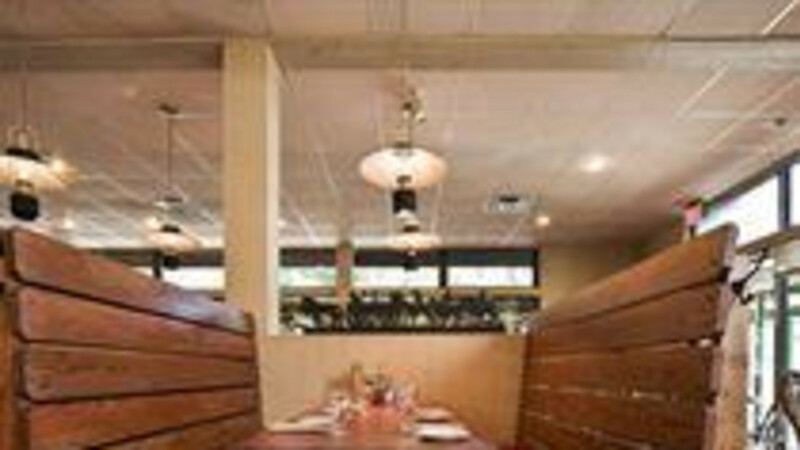 Relax at the bar or in a comfortable booth for a hearty dinner. Chef Conrad uses local buffalo, all natural beef, sustainable seafood and some local produce. A hearty breakfast is offered at the Ranch House. Our most popular option is the breakfast buffet, which offers a variety ranging from fresh fruit to biscuits and gravy. Dinner at the Ranch House should be one of your Grand Teton National Park must stops. 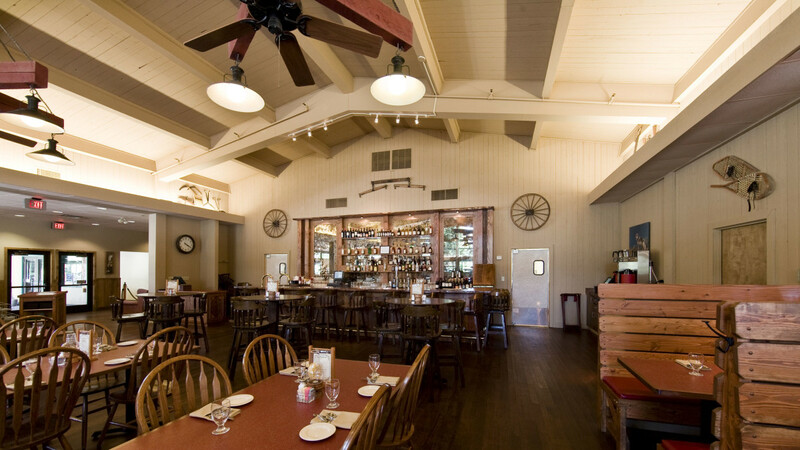 After exploring the Marina and taking a quick family photo head to the Ranch House for american comfort food with a BBQ twist. Enjoy savory dishes such as our Paintbrush Canyon salad, rotisserie chicken, and beef brisket.